It's amazing what you can miss out on when you simply just don't know what you're missing out on - if that makes any sense. Being recommended a song here and there is a good way to keep up with not just new music, but music that people themselves have taken a liking to in recent months, serving a dual purpose. In that way, I have been very quickly and effectively been won over by the sounds of Paris-based TOYS. Their debut EP, Natural Plastic came out 10th September this year, and featured two original songs, 'Noise' and 'T-O-M', and two remixes of 'Noise'. It's a massively threadbare introduction to some new talent that sounds like it could get very big indeed. Therefore I am waiting with anticipation for something new from TOYS, whenever that may be. For now, even just 'Noise' will suffice. It's a song with a unique sound that could be listened to any number of times without growing any less fond of it at all. The video for the song is below, and was filmed around the Barbès-Rochechouart Mètro station in Paris - an area that's notoriously rough and that clearly holds some kind of nostalgic meaning for the duo who make up TOYS: Paul Prier and Bastien Doremus. Have a listen. With a bassline that could have been lifted right out of a dub song, and a beat that naturally locks in with that offbeat bass to create a head-nodding sensation of a track with an unreal groove, 'Noise' is an instant hit from its very beginnings. Add to this the frenetic analogue synth that dips in and out like a bizarre, scratchy, modular fanfare, and you have a very different-sounding song. The vocals, too, like an announcement hold up against these competing sounds wonderfully with a chunky degree of feeling. I can't tire of listening to it, honestly. The second original of the EP, 'T-O-M', is a much more laid-back affair. It bursts open like an 80s slow-jam, with a get-on-down bassline that gradually gives way to effortless, near-whispering vocals, before a sensual synth solos over the top, making everything sound like the after-disco vibe outside a disco from Streets Of Rage 2 that may never have existed at all. It's all palm trees and neon signs and you can listen to it here. As for the remixes of 'Noise', you can listen to those below. The first, by Fausto Garraud, turns the original into a galloping deep house number, adding in some extra funk with a constant, rumbling bass. The second, by Sayem, keeps closer to original but speeds it up a little, features a crunchy interlude, makes use of spaces in between sound, before launching into a full-on electro mash in the second half that puts extra meat on the original. 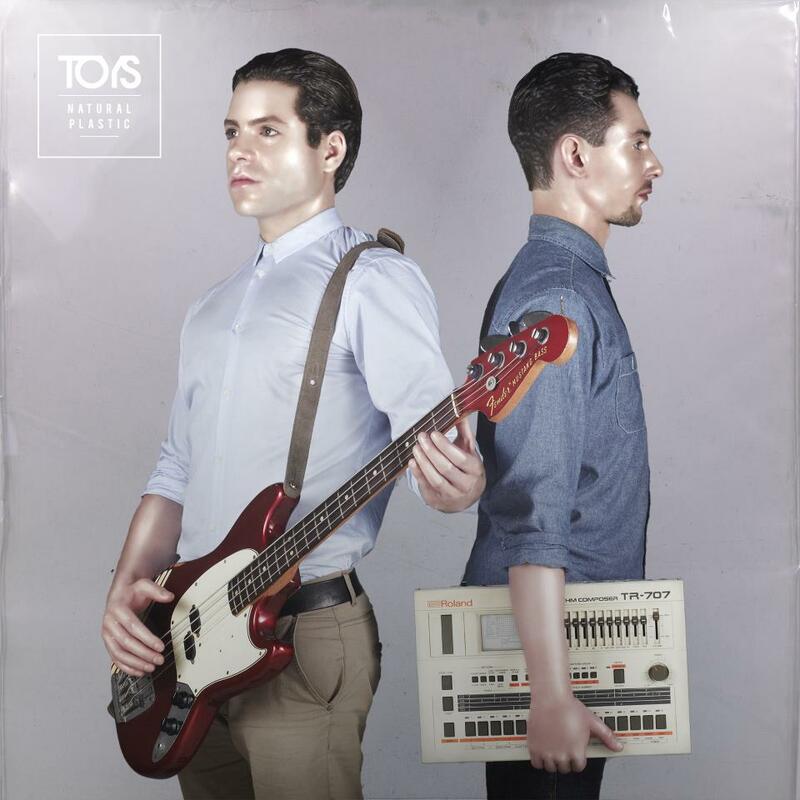 As I said earlier, I am eagerly anticipating more from TOYS after their teasingly short Natural Plastic EP and I hope, after listening to them, so will you be too.